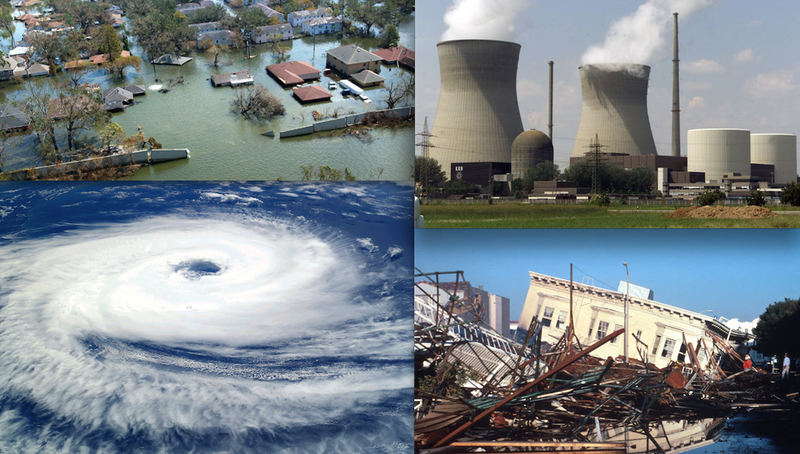 Whether it’s an industrial accident that releases toxic chemicals into the water supply as happened in West Virginia in recent memory, or a Katrina or Hurricane Sandy type event, or the jolt of an earthquake in California, people very often find themselves without electricity, running water, natural gas, and many other supplies and services for a period of time. It isn’t the End Of The World, but it is unpleasant and costly. Preparing for a Chernobyl or Fukushima style event is rough and probably not worth the effort. How many of us are really willing to live hunkered down in a bunker waiting for the Zombie Apocalypse to pass? On the other hand it’s relatively cheap and easy to make preparations for a temporary disruption of everyday life for the days, weeks, or months it takes for things to get back to normal after a crisis. Here’s what I do in my own home to prepare for whatever unpleasantness may come along. Keep in mind I live in a 700 square foot one bedroom apartment in the city and have no yard other than a small back patio that I share with four other households. And I’m not a particularly wealthy person. 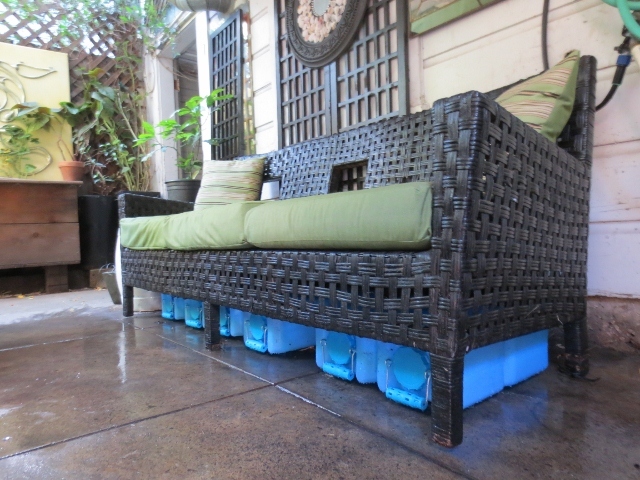 1) I store as much water as possible outside the building in our little back patio. 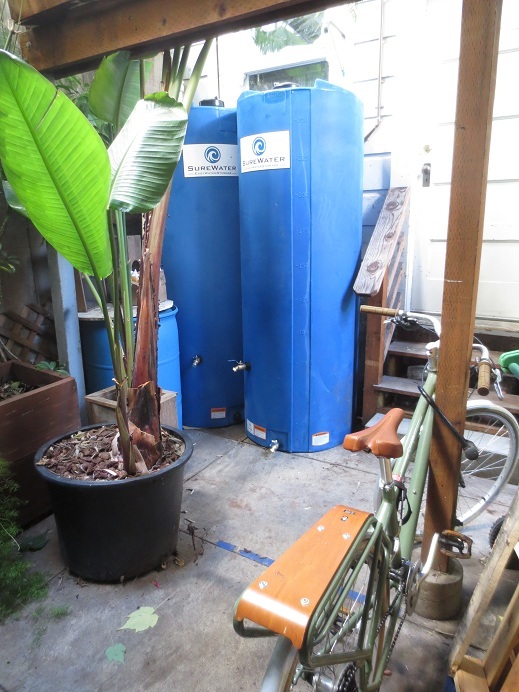 I also have a highly effective Big Berkey water filter that requires no electricity or chemicals. I also have a LifeStraw as a super emergency back up if all else fails and we need to hit the road and drink from questionable water sources. 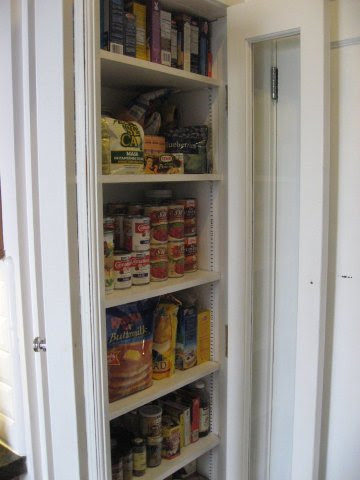 2) I keep a deep pantry of shelf stable foods. I buy 50 lb. and 25 lb. 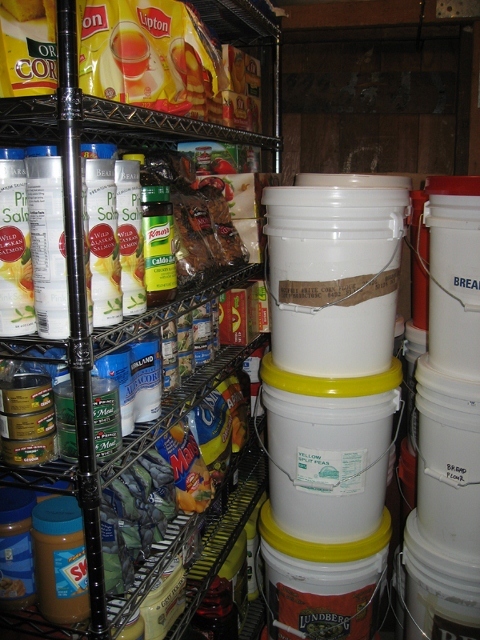 sacks of flour, salt, sugar, rice, lentils, Cuban black beans, pinto beans, kidney beans, split peas, quinoa, popcorn, etc. 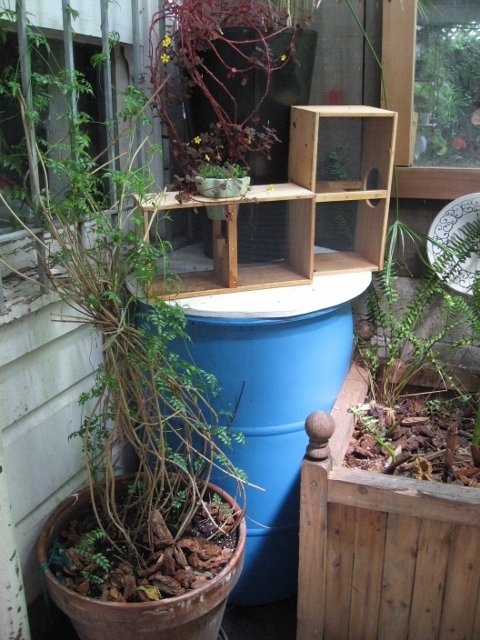 and store it all in five gallon buckets with Gamma Seal lids. I also buy multiple cans and jars of jelly, peanut butter, tuna, salmon, soups, canned milk, and so on as well as lots of spices and seasonings. I use these ingredients in my everyday meals and rotate my stock so as to avoid spoilage. 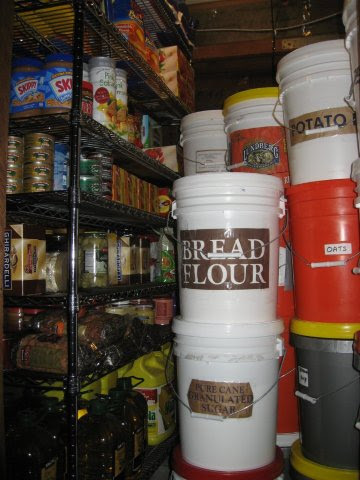 This is NOT hoarding. It’s doing what all our great grandparents did as a matter of course. Self reliance is a venerable practice that we dismiss at our own peril. And buying unprocessed whole foods in bulk is cost-effective. 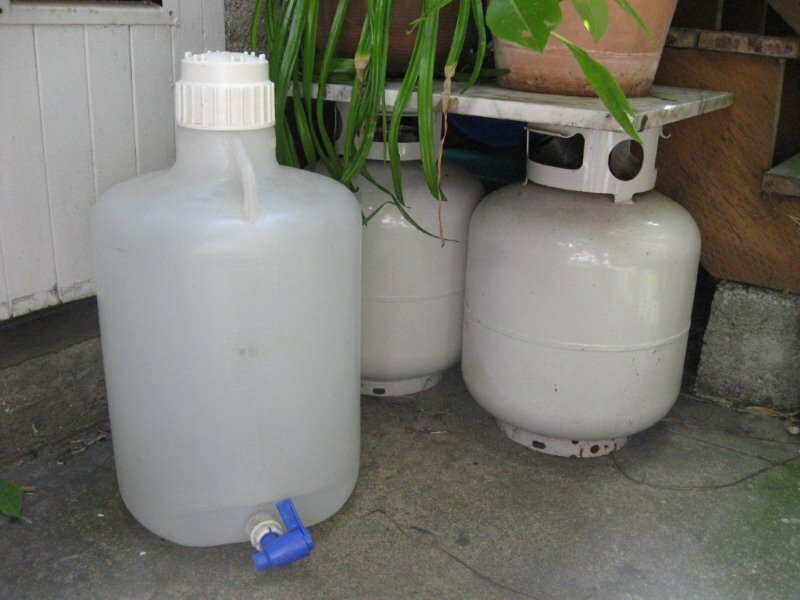 3) We have an ordinary BBQ and I keep a few extra canisters of propane on hand on the back patio. 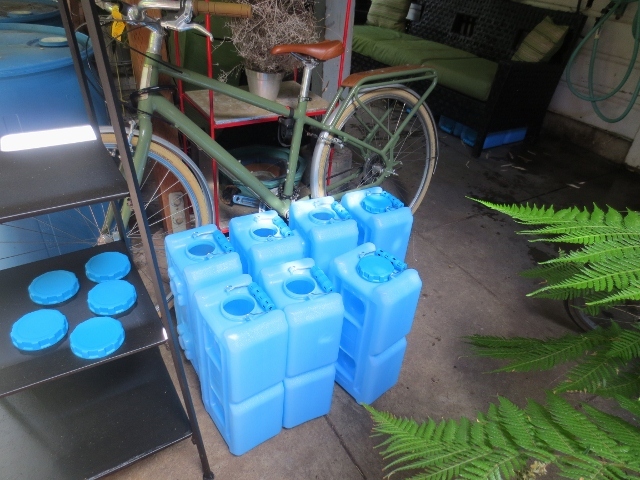 In an emergency we can cook and boil water outdoors. 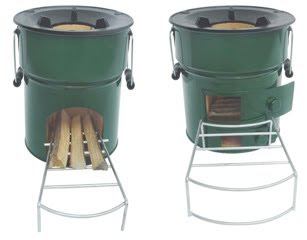 I have a tiny rocket stove that burns very small amounts of scrap wood and sticks. 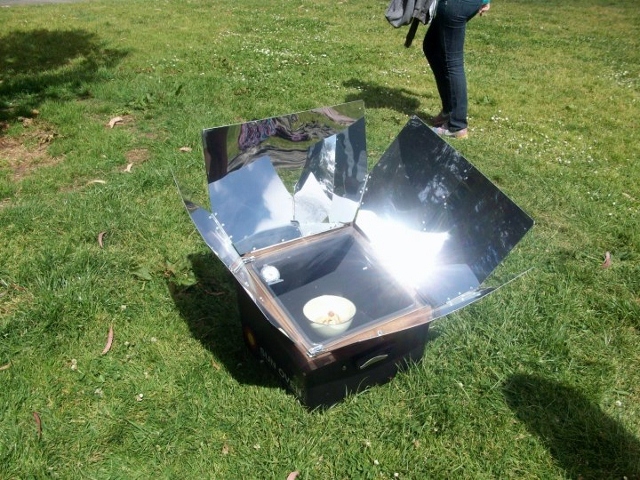 I also have a solar oven which requires no fuel at all. 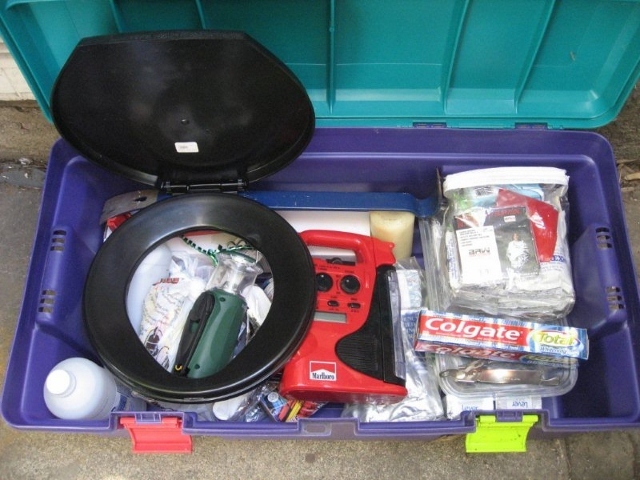 4) I have several first aid kits on hand in various locations in and around the house and a generous supply of common over-the-counter remedies. I’ve also made friends with a few nurses in the neighborhood and made it clear that I would provide for them in an emergency situation in exchange for their expertise. I always advise everyone who takes any required life-saving medications (insulin, heart meds, etc.) to have an extra few weeks supply on hand at all times. 5) I have a snap-on toilet seat that fits any standard five gallon bucket, lots of plastic bags, and a good supply of sawdust, bleach, and various wipes. I’m just sayin’. I’ve gathered a variety of supplies and equipment over a ten or fifteen year period and keep upgrading and rotating as needed. 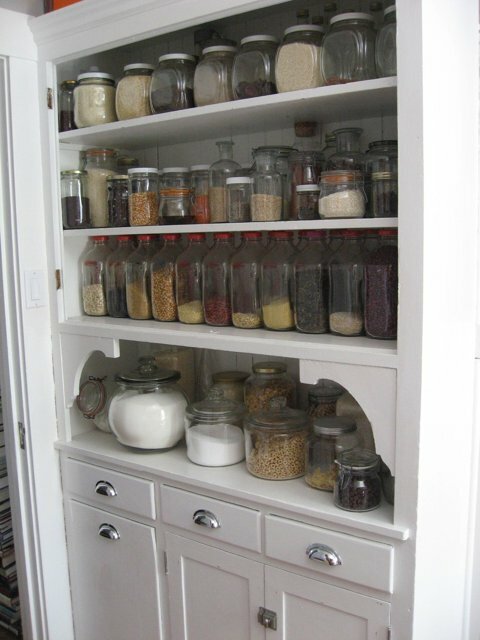 It’s a gradual process that’s become a regular part of how I organize my household. I’ve heard all the tinfoil hat jokes, but in an emergency situation none of my friends or neighbors will poke fun at me when I offer them a hot meal. Previous Previous post: What Are You Willing to Compromise for Location?